Pastor Miki Merritt, a native St. Louisan, attended St. Louis Public Schools graduating from Northwest High School in 1977. He continued his education at Washington University in St. Louis, where he met and married his college sweetheart, Carol E. Flewellen in 1980. He graduated with a degree in Business Administration from the University of Missouri-St. Louis in 1983. He received an Honorary Doctorate of Divinity from Mid-America Christian University in 2017. Pastor Miki answered God’s call to ministry in February, 1990 and began pastoring the New Cote Brilliante Church of God in February, 1991. His visionary leadership and his unique gift of declaring God’s word incorporating his creativity and sense of humor, have contributed to the successful growth of the ministry. Pastor Miki truly has a shepherd’s heart and is a man of integrity. His love for people and his gift of giving have been an asset not only to our congregation but to the church at large. Pastor Miki is a national leader serving as Presiding Elder of the National Association of the Church of God. He shares his leadership gift on several national committees, and is active on the state and local levels as well. He serves the Missouri Ministries of the Church of God as a mentoring pastor and on the Credentials Committee. He also works with the Board of Pensions, the Skinker-DeBaliviere Community Council, and the St. Louis Area Minister’s Association (SLAMA) and holds several other community affiliations. Pastor Miki travels extensively proclaiming the Word of God. 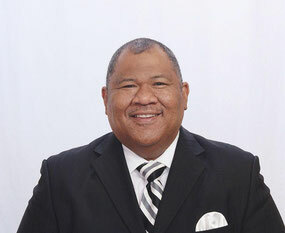 He is a sought after guest preacher and teacher conducting revivals, workshops, leadership training and conferences. He has been married to Dr. Carol F. Merritt for 37 years and they are the proud parents of four young adult sons – Miki Maurice (Emily), Sean Christopher, Carl Edward and Joshua Caleb and three granddaughters - Marley, Rachel, and Mikayla. Dr. Carol F. Merritt is the eldest child born to Rev. Carl and Mayme L. Flewellen. Growing up in a pastor’s home, Sis. Carol has been involved in ministry her entire life. Born in Columbus, Ohio, she spent her formative years in Bermuda where her parents served as missionaries for over six years, prior to moving to Evanston, Illinois. Carol graduated from Evanston Township High School in 1978, and moved to St. Louis to pursue pre-med at Washington University. While attending college, she fell in love and married Miki Merritt in 1980. She graduated from Washington University in 1982 with an A.B. degree in Biology and from the University of Missouri-St. Louis in 1989 with a Doctor of Optometry degree. Sis. Carol is active in the life of the ministry. She serves the church as Minister of Music and Worship, and is a gifted choir director, praise and worship leader and pianist. She has a strong teaching ministry, and uses this spiritual gift to teach Bible Study, Sunday School and multiple discipleship classes. Her passion is working with young women, teaching the principles of Titus 2:3. She is an ordained minister in the Church of God and gifted to proclaim the Word, incorporating her gift of teaching to help make the scriptures easy to understand. Sis. Carol believes that the Lord has called her to a unique purpose, “to help people to see both physically and spiritually”, and she uses this to guide her life and ministry. She is a true partner to her husband, Pastor Miki, and together they lead the church’s Marriage Ministry as well as travel together conducting conferences, workshops and preaching engagements. 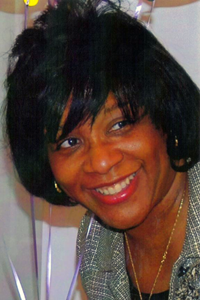 Professionally, Dr. Carol owns a solo private optometric practice in North St. Louis County. She is active in the community and serves the optometric profession on a national level as president of the National Optometric Foundation and past president of the National Optometric Association. In addition to her church and work commitments, she is most proud of being a wife and mother to four sons – Miki Maurice (Emily), Sean Christopher, Carl Edward and Joshua Caleb and three granddaughters - Marley, Rachel, and Mikayla.